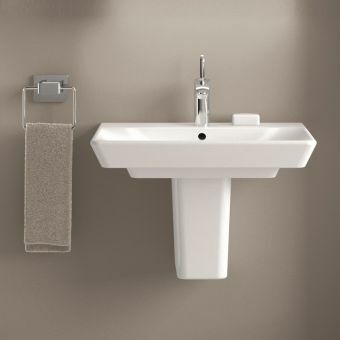 The Ideal Standard Concept Sphere 45cm Washbasin combines modern materials and construction with classic design for a wash basin like no other. 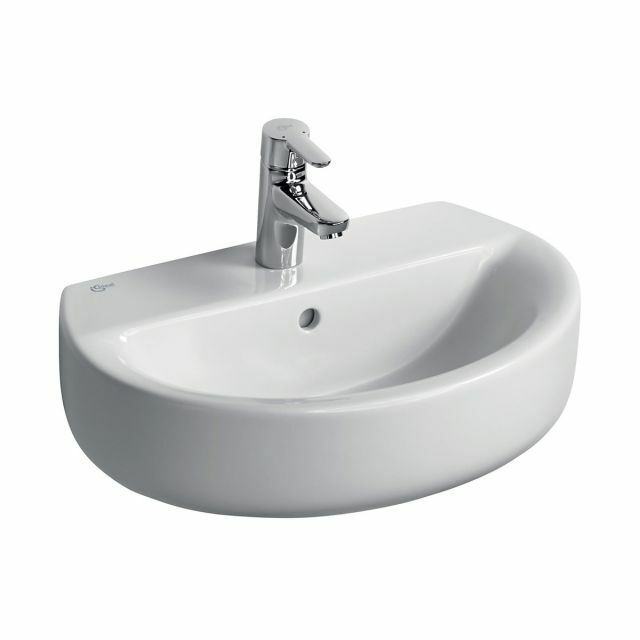 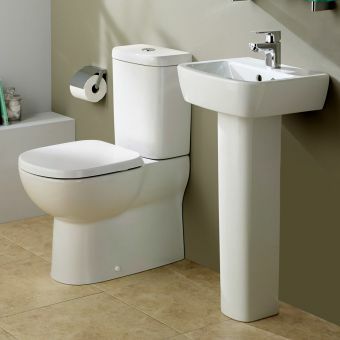 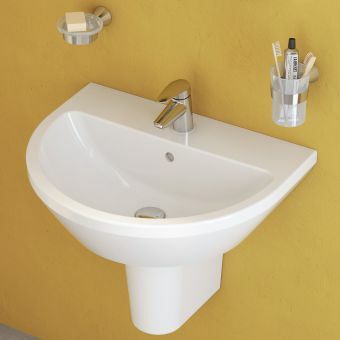 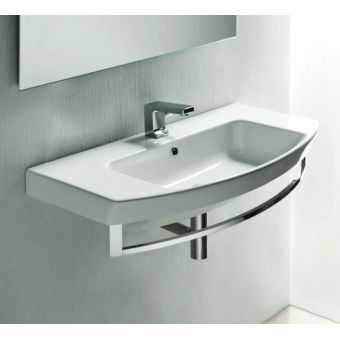 This Ideal Standard wash basin measures 450 x 450 x 140 mm making it an easy fit in even smaller bathrooms. 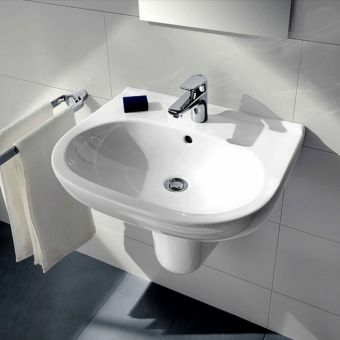 The vitreous china surface features a tough, white finish that maintains its shine for years. 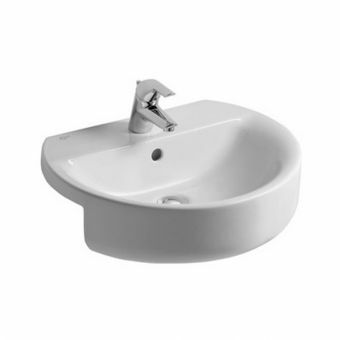 This Concept wash basin is available with one or two tap holes and comes in either a full pedestal design or semi-pedestal design. 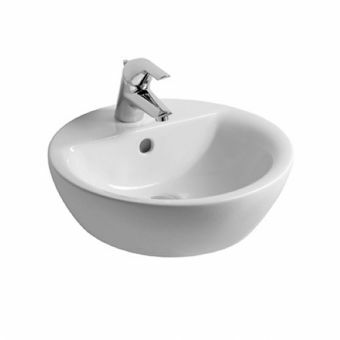 The Ideal Standard Sphere blends smooth, curving lines with a scooped bowl that is versatile and blends easily within modern and traditional designs. 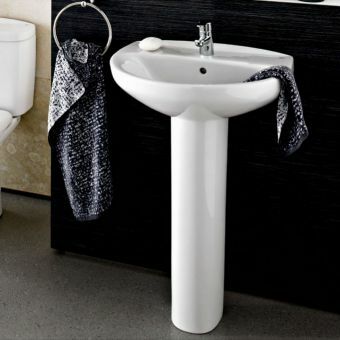 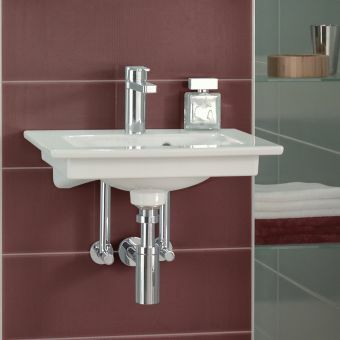 This Ideal Standard Concept wash basin is perfect for busy family bathrooms, elegant shower rooms, and any space where a quality, fashionable wash basin is needed.